Larry D has wrestled for many different oraganizations in Ohio, Kentucky, Indiana & Tennesee..
Larry D had a feud with Payne for about 2 months then moved on to wrestle rivals DWA..
~~~Towards the end of that feud, Larry D turned heel and joined the DWA team! November 7, 2004 – TLW 26: Mean Gene defeated Larry D.
February 23, 2007–Mountain Wrestling Association: Jerry “The King” Lawler defeated Little Larry D.
June 9, 2007–Mountain Wrestling Association: Samoa Joe & Chris Harris defeated Donnie Green & Larry D..
June 29, 2007—Mountain Wrestling Association: “Wildcat” Chris Harris defeated Larry D. by disqualification..
June 30, 2007—Mountain Wrestling Association: Eddie Browning & Larry D. defeated Scott Hayes & Ice Train..
July 7, 2007–Mountain Wrestling Association: Bobby Blade & Scott Hayes beat “Honest” Donnie Green & Larry D.
September 22, 2007–IWA Mid-South: Mickie Knuckles defeated Larry D.
January 10, 2009–OCW: Larry D defeated Eddie Browning. March 7, 2009–NWA Main Event: Eddie Browning defeated Larry D.
September 11, 2009–USWO/ATL: Jeff Daniels and Larry D defeated Scott Hayes and Tommy Mercer. January 7, 2010–OCW: Larry D vs. Onyx ended in a no contest. August 14, 2010–OVW TV (Taped): Ali defeated Larry D to retain the Television title. February 3, 2011–OCW: Onyx defeated Larry D to win the heavyweight title. March 3, 2011–OCW: The Legends Of Perfection (Jordan Kage and Larry D) defeated Kory Williams and ONYX. April 7, 2011–OCW: The Legends Of Perfection (Jordan Kage and Larry D) defeated Killer Kurt and ONYX. May 5, 2011–OCW: Jeff Mayhem, Kerry Campbell and ONYX defeated The Legends Of Perfection (Big Daddy Mac, Jordan Kage and Larry D). July 7, 2011–OCW: Chris Miles and Jeff Mayhem vs. The Legends Of Perfection (Jordan Kage and Larry D) to win the tournament and the vacant tag titles ended in a double disqualification. August 12, 2012–UWF: Thomas Wing defeated Larry D.
October 21, 2012–UWF: Chris Majors and Larry D defeated Bob Murdoch and Jarrod Slone. December 7, 2012–USWO/ATL: Michael Jablonski defeated Larry D.
March 10, 2013–UWF: Larry D defeated Chris Harris. May 26, 2013–UWF: Larry D vs. Stan Sierra ended in a double disqualification. Larry D retains the heavyweight title. June 9, 2013–UWF: Larry D defeated Stan Sierra in a lumberjack match to retain the heavyweight title. June 23, 2013–UWF: Larry D defeated Ronnie Roberts by disqualification to retain the heavyweight title. 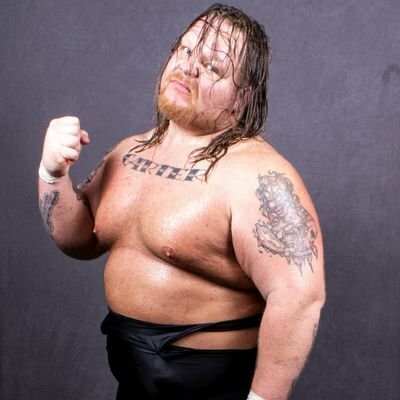 June 30, 2013–UWF: Larry D defeated Maxx Sledd by disqualification to retain the heavyweight title. 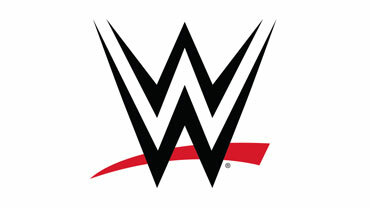 March 2, 2014–UWF: Larry D defeated Marcus Johnson. June 7, 2014–PWF: JR Roc vs. Larry D ended in a no contest. September 18, 2014–EWP: Ace Perry defeated Larry D.
February 27, 2016–EWF: Larry D defeated Kyron by disqualification. August 30, 2016–IWA Mid-South: Todd Morton’s Hangmen (Derek Neal, Larry D and Stan Sierra) defeated The Threejects (John Wayne Murdoch, Nick Depp and Reed Bentley). September 15, 2016–IWA Mid-South: Todd Morton’s Hangmen (Derek Neal, Larry D and Stan Sierra) defeated The Threejects (John Wayne Murdoch, Nick Depp and Reed Bentley). October 6, 2016–IWA Mid-South: The Threejects (John Wayne Murdoch, Nick Depp & Reed Bentley) and Mark Wolf defeated The Hangmen (Larry D & Stan Sierra), Derek Neal and Mitch Ryder. October 13, 2016–IWA Mid-South: Derek Neal, Larry D and Stan Sierra defeated John Wayne Murdoch, Nick Depp and Reed Bentley. October 15, 2016–IWA Mid-South: John Wayne Murdoch and Reed Bentley defeated Larry D and Mitch Ryder. October 20, 2016–IWA Mid-South: Larry D and Mitch Ryder defeated John Wayne Murdoch and Reed Bentley. October 27, 2016–IWA Mid-South: John Wayne Murdoch, Nick Depp and Reed Bentley defeated JJ Garrett, Larry D and Mitch Ryder. November 10, 2016–IWA Mid-South: Brother Reed, John Wayne Murdoch and Mickey Muscles vs. Derek Neal, Larry D and Mitch Ryder ended in a double disqualification. November 24, 2016–IWA Mid-South: Derek Neal, Larry D and Mitch Ryder defeated JC Rotten, John Wayne Murdoch and Nick Depp. December 1, 2016–IWA Mid-South: John Wayne Murdoch andNick Depp defeated Derek Neal and Larry D in a falls count anywhere match. December 15, 2016–IWA Mid-South: John Wayne Murdoch, Kongo Kong and Nick Depp defeated Aaron Williams, Derek Neal and Larry D.
December 17, 2016–IWA Mid-South: Larry D defeated Zodiak. Larry D also won a #1 contenders battle royal for the heavyweight title. January 26, 2017–IWA Mid-South: John Wayne Murdoch defeated Larry D to retain the heavyweight title. February 2, 2017–IWA Mid-South: Larry D defeated Myron Reed. February 9, 2017–IWA Mid-South: Dave Crist defeated Larry D.
February 16, 2017–IWA Mid-South: Larry D defeated Calvin Tankman and Everett Connors and Idol Heinze and Myron Reed and Teddy King and Trey Miguel in a opportunity in the box ladder match. February 23, 2017–IWA Mid-South: Larry D defeated Jonathan Wolf. February 25, 2017–IWA Mid-South: Larry D defeated Nick Depp. March 2, 2017–IWA Mid-South: Larry D defeated Shane Mercer. March 16, 2017–IWA Mid-South: Larry D defeated Zodiak. March 18, 2017–IWA Mid-South: Larry D defeated John Wayne Murdoch in a opportunity in a box match. March 30, 2017–IWA Mid-South: Aaron Williams and Larry D defeated Trey Miguel and Zachary Wentz. Dave Crist defeated Kongo Kong and Larry D in a 3-way match to retain the heavyweight title. April 1, 2017–IWA Mid-South: Larry D defeated Brian Carson. Justin Storm and Rudy Jordan defeated Larry D and Lexxi Green. April 6, 2017–IWA Mid-South: Larry D defeated Dezmond Xavier. April 9, 2017–IWA Mid-South: Teddy King defeated Larry D to qualify for the UPW title tournament. April 13, 2017–IWA Mid-South: Larry D defeated Teddy King. April 27, 2017–IWA Mid-South: Aaron Williams and Larry D defeated Jake Crist and Marcus Everett in the 1st round. Myron Reed and Sugar Dunkerton defeated Aaron Williams and Larry D in the semi-finals. May 13, 2017–IWA Mid-South: Larry D defeated Reed Bentley. May 18, 2017–IWA Mid-South: Daniel Winchester, Larry D and Shane Mercer defeated Cole Radrick, Jake Crist and Marcus Everett. May 25, 2017–IWA Mid-South: Larry D defeated Zodiak in the 1st round. Larry D defeated Devon Moore in the semi-finals. Aaron Williams defeated Larry D to win the tournament and vacant heavyweight title. Larry D defeated Aaron Williams to win the heavyweight title. June 1, 2017–IWA Mid-South: Michael Elgin defeated Larry D to win the heavyweight title. June 10, 2017–IWA Mid-South: Larry D defeated Aaron Williams and Jake Crist in a 3-way match. June 15, 2017–IWA Mid-South: Larry D defeated Cole Radrick. June 21, 2017–Rockstar Pro: Larry D defeated Shane Mercer. June 22, 2017–IWA Mid-South: Larry D defeated Ian Rotten. June 28, 2017–Rockstar Pro: Larry D defeated Big Fish Rembowski and Crosshairs Kelly in a handicap match. June 29, 2017–IWA Mid-South: Larry D and Shane Mercer defeated Cole Radrick and Zachary Wentz. July 5, 2017–Rockstar Pro: Larry D defeated Nate Wings. July 6, 2017–IWA Mid-South: Larry D defeated Matt Kenway. July 13, 2017–IWA Mid-South: Myron Reed defeated Calvin Tankman and Larry D in a 3-way match. July 19, 2017–IWA Mid-South: Larry D defeated Daniel Winchester. July 25, 2017–IWA Mid-South: Larry D defeated Sage Philips. July 26, 2017–Rockstar Pro: Larry D defeated Ganger. July 27, 2017–IWA Mid-South: The Young Dragons (Dale Patricks and Josh Crane) defeated The Rejects (John Wayne Murdoch and Reed Bentley) & Brandon Taggart and Larry D in a 3-way tag team TLC match to win the tag titles. August 3, 2017–IWA Mid-South: Larry D defeated Calvin Tankman, Percy Davis and Shane Mercer in a 4-way match. August 9, 2017–Rockstar Pro: Larry D defeated Ganger and Ronnie Roberts in a 3-way match. August 10, 2017–IWA Mid-South: Shane Mercer defeated Larry D.
August 15, 2017–IWA Mid-South: Larry D defeated Calvin Tankman. August 16, 2017–Rockstar Pro: Larry D defeated Crash Jaxon. August 23, 2017–Rockstar Pro: Larry D defeated Will Burden. August 24, 2017–IWA Mid-South: Larry D defeated Jake Crist. August 30, 2017–Rockstar Pro: Larry D defeated Crash Jaxon. August 31, 2017–IWA Mid-South: Larry D defeated Shane Mercer in a last man standing match. September 1, 2017–Rockstar Pro: Larry D defeated Ganger in a street fight. September 6, 2017–Rocktstar Pro: Larry D defeated Nate Wings. September 7, 2017–IWA Mid-South: Larry D defeated JC Rotten. September 10, 2017–UPW: Derek Neal defeated Larry D.
September 13, 2017–Rockstar Pro: Larry D defeated Ace Austin. September 14, 2017–IWA Mid-South: Larry D defeated Kongo Kong in the 1st round. September 15, 2017–IWA Mid-South: Larry D defeated Mance Warner in the quarter-finals. Jonathan Gresham defeated Larry D in the semi-finals. September 21, 2017–IWA Mid-South: Larry D defeated Shigehiro Irie. September 23, 2017–IWA Mid-South: Larry D defeated Pat Deez Nutz. September 27, 2017–Rockstar Pro: Larry D defeated Rob Killjoy. September 28, 2017–IWA Mid-South: Dale Patricks vs. Larry D ended in a double count-out. October 5, 2017–IWA Mid-South: Larry D defeated Cole Radrick. October 6, 2017–Rockstar Pro: Nate Wings defeated Larry D.
October 11, 2017–Rockstar Pro: Nate Wings defeated Craig West, Cole Radrick and Larry D in a 4-way match. October 12, 2017–IWA Mid-South: Shigehiro Irie defeated Larry D.
October 18, 2017–Rockstar Pro: Cole Radrick vs. Larry D ended in a no contest. October 25, 2017–Rockstar Pro: Larry D defeated Cole Radrick. October 26, 2017–IWA Mid-South: Larry D defeated Kevin Lee Davidson. November 1, 2017–Rockstar Pro: Aaron Williams vs. Larry D ended in a no contest. November 2, 2017–IWA Mid-South: Shigehiro Irie defeated Larry D in a knockout or tap out match. November 3, 2017–Rockstar Pro: Larry D defeated Cole Radrick in a street fight. November 8, 2017–Rockstar Pro: Cole Radrick, Jeremiah and Larry D defeated The Dirty (Austin Manix & Brandon Edwards) and Ace Austin in the 1st round. Night Ryderz (Aaron Williams, Alex Colon and Dustin Rayz) defeated Cole Radrick, Jeremiah and Larry D in the semi-finals. November 15, 2017–Rockstar Pro: Cole Radrick and Larry D defeated Donovan Danhausen and Pompano Joe. November 16, 2017–IWA Mid-South: Larry D defeated Trey Miguel. November 22, 2017–Rockstar Pro: Cole Radrick and Larry D defeated Gucci Gang (Clayton Jackson and Zachary Wentz). November 23, 2017–IWA Mid-South: Amazing Maria, JC Rotten, Larry D, Mark Wolf and Pat Monix defeated Calvin Tankman, Crash Jaxon, Frank Wyatt, Hy-Zaya and Shane Mercer in a tag team elimination match. November 29, 2017–Rockstar Pro: Larry D defeated Clayton Jackson. November 30, 2017–IWA Mid-South: Larry D defeated James Drake. December 1, 2017–Rockstar Pro: Cole Radrick defeated Larry D in a last man standing match. December 7, 2017–IWA Mid-South: Larry D defeated Zodiak. December 14, 2017–IWA Mid-South: Jimmy Jacobs defeated Larry D to retain the heavyweight title. February 1, 2018–IWA Mid-South: Larry D defeated Calvin Tankman. February 2, 2018–Rockstar Pro: Larry D defeated Cole Radrick and Nate Wings in a 3-way match. February 7, 2018–Rockstar Pro: Larry D defeated Ace Austin. February 14, 2018–Rockstar Pro: Larry D defeated Brian Pillman II. February 15, 2018–IWA Mid-South: Ace Romero defeated Larry D.
February 21, 2018–Rockstar Pro: Larry D defeated Pompano Joe. 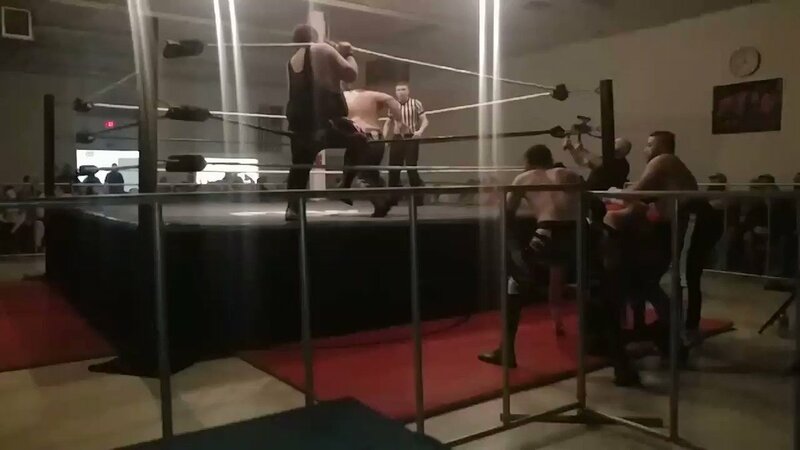 February 22, 2018–IWA Mid-South: Ace Romero vs. Larry D in a best 2 out of 3 falls match ended in a 1-1 draw. February 28, 2018–Rockstar Pro: Larry D defeated Ace Austin. March 1, 2018–IWA Mid-South: Larry D defeated Ace Romero in a sudden death match. March 2, 2018–Rockstar Pro: Larry D defeated Ace Austin. March 7, 2018–Rockstar Pro: Larry D defeated Chase Holiday, Ace Austin and Steve Manders in a 4-way match. March 8, 2018–IWA Mid-South: Mance Warner defeated Larry D to retain the heavyweight title. March 14, 2018–Rockstar Pro: Larry D defeated Ron Mathis. March 20, 2018–IWA Mid-South: Larry D defeated Calvin Tankman. March 21, 28, 2018–Rockstar Pro: Larry D defeated Ron Mathis. March 29, 2018–IWA Mid-South: Larry D defeated Sage Cainan. April 4, 2018–Rockstar Pro: Larry D defeated Ron Mathis. 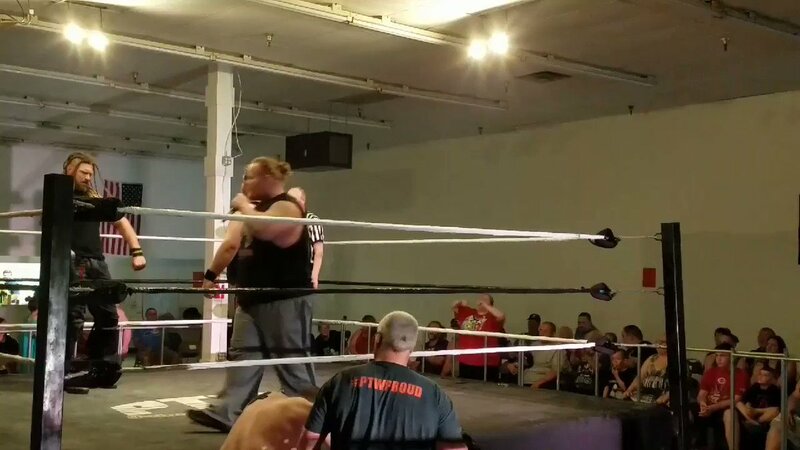 April 5, 2018–IWA Mid-South: Calvin Tankman defeated Kongo Kong and Larry D in a 3-way match. April 11, 2018–Rockstar Pro: Larry D defeated Ron Mathis. 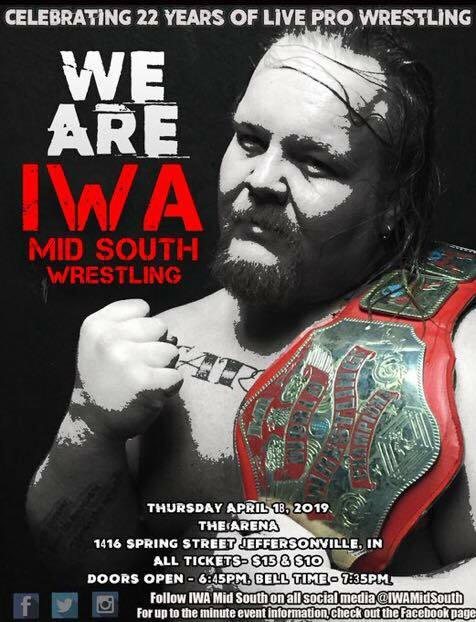 April 12, 2018–IWA Mid-South: Larry D defeated Lord Crewe. April 13, 2018–Rockstar Pro: Ron Mathis defeated Larry D in a No Disqualifications Falls Count Anywhere match. April 27, 2018–IWA Deep South: Larry D defeated Thomas Munoz in the 1st round. April 28, 2018–IWA Deep South: Larry D defeated Freak Show in the quarter-finals. Larry D defeated Chuey Martinez in the semi-finals. Corporal Robinson defeated Larry D to win the tournament. May 2, 2018–Rockstar Pro: Larry D defeated Myron Reed. May 3, 2018–IWA Mid-South: Larry D defeated Gary Jay. May 4, 2018–Rockstar Pro: Larry D defeated Ron Mathis in a 3 stages of hell match. May 5, 2018–IMPACT Wrestling/REVOLVER: Rich Swann defeated Matt Palmer and Ace Austin and Air Wolf and Andy Dalton and Chip Day and Gringo Loco and Larry D and Sugar Dunkerton to win the PWR Scramble title. May 9, 2018–Rockstar Pro: Dustin Rayz defeated Larry D, Bruce Grey and Nate Wings in a 4-way match to win the vacant Trios title. May 10, 2018–IWA Mid-South: Larry D defeated Reed Bentley. May 17, 2018–IWA Mid-South: John Wayne Murdoch defeated Larry D, Mance Warner and Reed Bentley in a 4-way tag team elimination match to retain the heavyweight title. May 23, 2018–Rockstar Pro: Larry D defeated Sami Callihan. May 29, 2018–IWA Mid-South: Larry D defeated Sage Philips. May 30, 2018–Rockstar Pro: Larry D defeated Aaron Williams. June 1, 2018–Rockstar Pro: Larry D defeated Rickey Shane Page in the quarter-finals. Larry D defeated Michael Elgin in the semi-finals. Larry D defeated Jeremiah to win the tournament. June 7, 2018–IWA Mid-South: Larry D defeated Mr. Grim. June 13, 2018–Rockstar Pro: Larry D defeated Nate Wings. June 20, 2018–Rockstar Pro: Larry D defeated Bad Bones. June 21, 2018–IWA Mid-South: Nick Gage defeated Larry D to retain the heavyweight title. June 27, 2018–Rockstar Pro: Larry D vs. Jon Murray ended in a no contest. July 6, 2018–Rockstar Pro: Jon Murray defeated Ace Romero, Larry D and Jake Crist in a 4-way match to retain the Rockstar Pro title. July 12, 2018–IWA Mid-South: Larry D defeated KTB. July 20, 2018–H20: Larry D defeated Monsta Mack. July 25, 2018–Rockstar Pro: Jon Murray defeated Ace Romero and Larry D in a 3-way match to retain the Rockstar Pro title. August 1, 2018–Rockstar Pro: Ace Romero vs. Larry D ended in a no contest. August 2, 2018–Bandit Wrestling: Daniel Eads defeated Larry D and Mr. Grim in a 3-way, 1st round match. August 3, 2018–REVOLVER: Larry D was in the PWR Scramble title match won by Ace Austin. August 8, 2018–Rockstar Pro: Ace Romero vs. Larry D ended in a no contest. August 15, 2018–Rockstar Pro: Larry D defeated Dave Crist. August 16, 2018–IWA Mid-South: Gary Jay defeated Larry D.
August 22, 2018–Rockstar Pro: Jake Crist and Jon Murray defeated Ace Romero and Larry D.
August 24, 2018–WTF: Dru Skillz defeated Larry D to retain the WTF title. August 29, 2018–Rockstar Pro: Jeremiah defeated Larry D and Ron Mathis in a 3-way match. August 30, 2018–IWA Mid-South: Larry D defeated Calvin Tankman in a street fight. September 5, 2018–Rockstar Pro: Larry D defeated Steve Manders. LEE G NEWS: @legendoflarryd takes flight at The Sportatorium!